NIRH seeks a highly-qualified and entrepreneurial professional, with a strong track record in senior leadership, to provide strategic direction, leadership, creativity, and management for both NIRH and the NIRH Action Fund programs. Reporting to the President, the Chief Program Officer serves as a key leadership team member, provides an active voice in the organization’s strategic decision-making and will design and implement systems and protocols to ensure annual growth. The CPO will supervise the programmatic staff and overall be responsible for oversight of the policy, partnerships, political, and youth program teams, totaling 10 staff currently. This is a full-time position located in New York, NY. 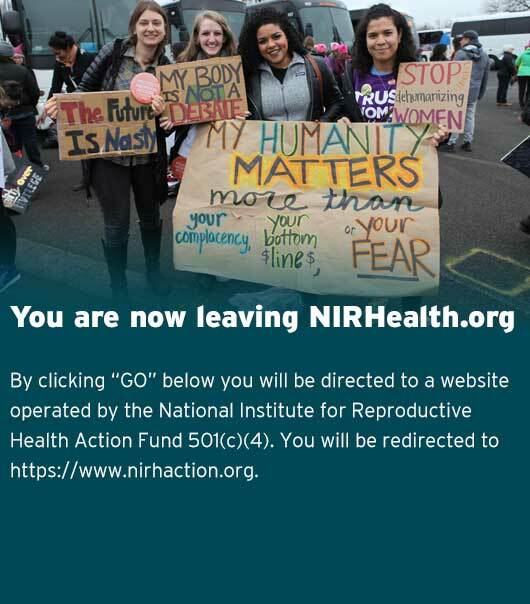 For more information on NIRH and the NIRH Action Fund, please visit https://www.nirhealth.org. In concert with the president and other members of Senior Management Team, bringing high-level leadership, vision, collaboration, and creativity to the ongoing growth and impact of the organization. In collaboration with senior management, develop a vision and plan to deepen a culture of equity and inclusion within the organization. Oversee the integration of NIRH and NIRH Action Fund programs, ensuring alignment across all state, local, and youth initiatives. Strategic responsibility for the policy and political programs, including partnerships with state and local organizations across the country. Work closely with VP of Communications and Senior Management Team to leverage and maximize cross-department collaboration and approaches. Responsible for incubating and documenting innovative local and state initiatives, as well as piloting experiments with high potential for scaling up & strategic impact. Ensure the organization is documenting promising practices and innovative strategies and work collaboratively with senior staff to share these through appropriate channels to a range of audiences, including other advocates and movement colleagues, donors and foundations. Responsible for managing key strategic partnerships and developing new partnerships to advance mutual goals. As a complement to the President’s role, represent NIRH and NIRH Action Fund externally with funders, coalition partners, media, and other audiences. Serve as a spokesperson and advocate for NIRH and NIRH Action Fund’s mission and programs. Leadership of special projects: Scope, plan, and execute strategic organizational projects as agreed upon. Serve as a strategic thought partner on the senior management and management teams. Collaborate and lead cross-departmental initiatives and projects. Manage a 10-person team, foster teamwork; cultivate and maintain a collaborative culture; and integrate, align and monitor policies and organization-wide systems. Provide weekly supervision for the policy, political and youth initiatives teams; identify clear departmental and individual goals with benchmarks to monitor progress. Develop the Board’s understanding of NIRH and NIRH Action Fund Program goals, impact, and reach. In concert with other members of the Senior Management Team, responsible for the smooth operations of the organization in the absence of the president. Competitive benefit package and salary commensurate with experience: salary range $140,000 – $160,000.